One proof of concept translated into over 45 events for Pepsi brands. MOUSE created and executed several experiential concepts to meet all sampling and sales objectives, including a 20ft x 20ft refreshing sampling experience that brought the brands fruit forward personality to life. 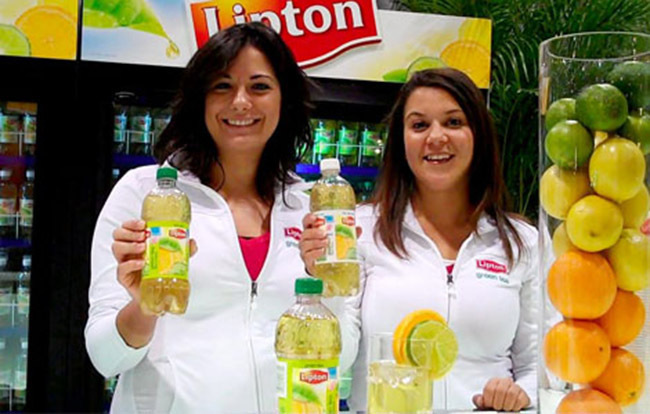 Consumers enjoyed cold refreshing product samples, played interactive branded Wii games for branded swag prizes, and relaxed in a lounge that provided plenty of opportunity to develop two-way communications with key Lipton customers – resulting in purchases. Integrated deep market research via iPad device.